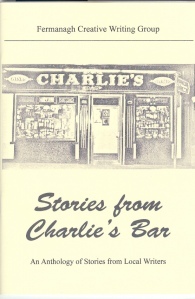 As secretary of Fermanagh Creative Writing Group I was pleased to contribute a story and write an introduction to our group for our first publication, Stories From Charlie’s Bar, which we launched at Readings By Local Writers on Sunday. It is a compilation of stories and poems by our members. Many of the pieces were recently printed in the Impartial Reporter as part of their spring/summer series featuring our writing but there are some new pieces included too. As I often say, diversity characterises our group – and it also characterises the material in the booklet. There tales range from funny to wistful to thought provoking to scary to heartwarming. From more information or to obtain a copy, contact our member, Ken Ramsey (click on his name for contact details). 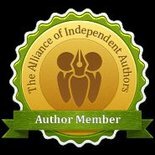 This entry was posted in August 2010, Uncategorized and tagged Dianne Ascroft, Fermanagh Creative Writing Group, Impartial Reporter, poetry, short stories, Stories From Charlie's Bar, writing group. Bookmark the permalink.